In spite of the fact that there are great ideas and tricks for all types of waves, curls and kinks, type 3 hair is still unique in comparison to type 2 or type 4 hair. Type 3 hair is the in-between hair type, and when it comes to curly hair care, there has to be a balance. For instance, type 3 hair can be styled without getting it extremely frizzy simply by applying a medium conditioner. But you can’t simply hop out of the shower, brush furiously and be done for the day like some type 2 hair types may be able to do. If you’ve ever been to a hair and beauty supply store, you know there’s an entire aisle of different brushes. But which one is right? One of the many must-have curly hair tools is actually a wide-tooth comb. The reason why it’s so important to use a wide-tooth comb for type 3 hair is because it prevents breakage and therefore split ends. A heavy duty brush with thin, long bristles tears at the hair, which leads to significantly more hair loss, damaged hair and split ends which can cause frizz. If you aren’t already using wide-tooth combs, you might be a bit skeptical. However, after a few run-throughs, not only will the knots disappear with ease, but the curls will look more perfect and shinier than ever. The best tip when it comes to styling products is to read the label. This may seem like a super-simple task, but a lot of products on the market do not have clear labeling. The best product labeling contains information on your specific type of hair, not just general curly hair. A good hair styling product will give you all the information you need for your specific hair type. After finding products with the right labeling, it’s time to narrow down your search further. If you happen to have type 3 curls, choose medium weight products. Several kinds of gels, moose, and creams can all cater to different hair types and it’s important you choose the one that suits your hair the best. After following this curly hair tip and eliminating lesser products, try applying the recommended amount evenly to avoid crunchy or greasy-looking hair. For specific type 3 products, try DevaCare No-Poo, AG Re:coil Curl Activating Conditioner and Innersense Quiet Calm Curl Control. Another simple tip is to use a detangler, often and always. 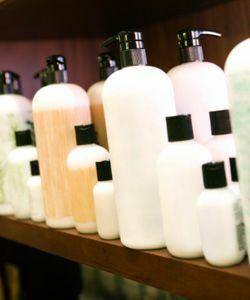 There are a variety of different detangling shampoos, conditioners, leave-in conditioners and styling products. Some are simply called “detanglers” and those products work, as well. To prevent damage or to do some damage control, hair detangler remedies are your friend. Detangling type 3 hair on a regular basis can be difficult without special products, so make sure you have a detangler in your hair care arsenal. Damaged and dry hair may result in a “rat's nest” or a large knot of hair that inevitably has to be cut out or removed. I had a knot as a teenager and had to chop off all of my hair to start anew. It's not a fun situation. Head on over to CurlMart and check our the top rated curly hair products specifically for your type 3 curls! If you have any type of curly hair, you know that it’s those little tips and tricks that help you along the way. From the combs you use on a daily basis to basic damage control in case of emergencies, these are three of the many curly hair tips that make us all grateful for the gift of fabulously curly hair.